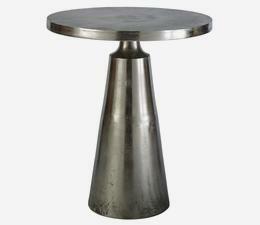 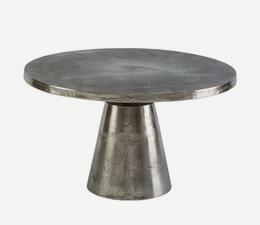 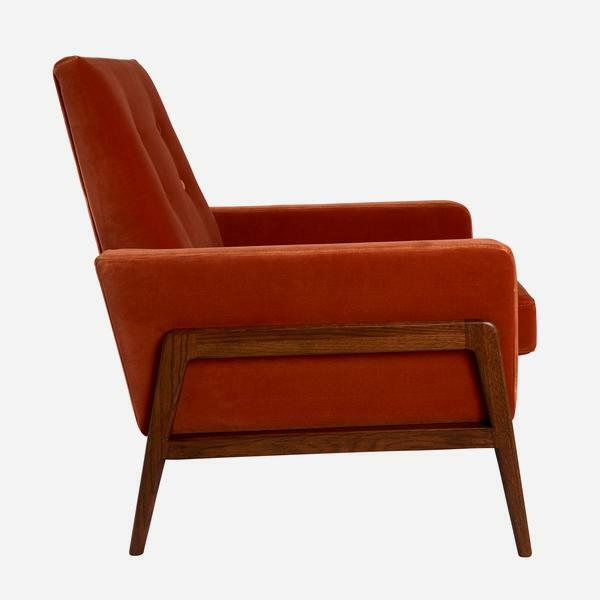 In iconic mid-century style, Jagger lives up to its rock star name. 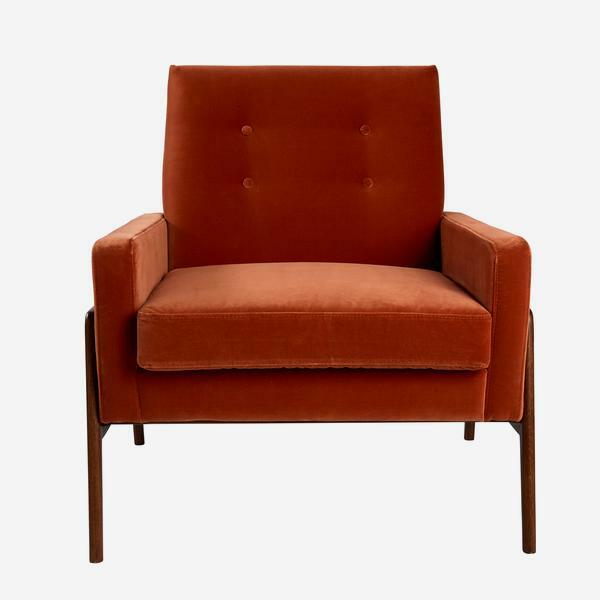 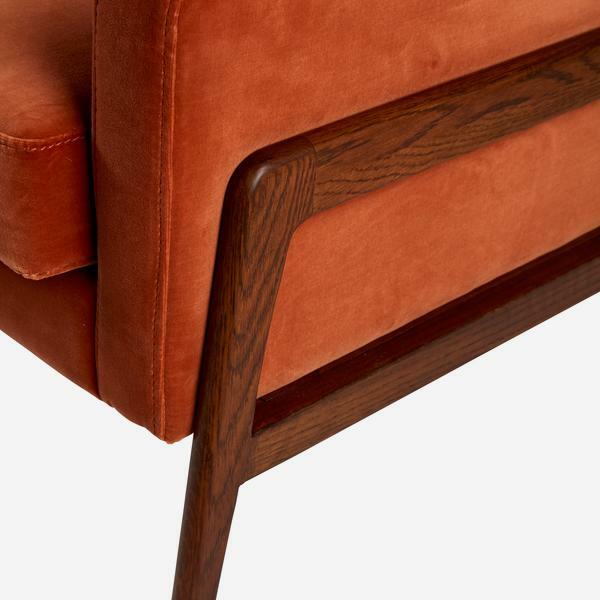 Featuring a walnut finish frame and sturdy cushion arms and seat, this chair combines box-like lines with soft, velvet comfort. 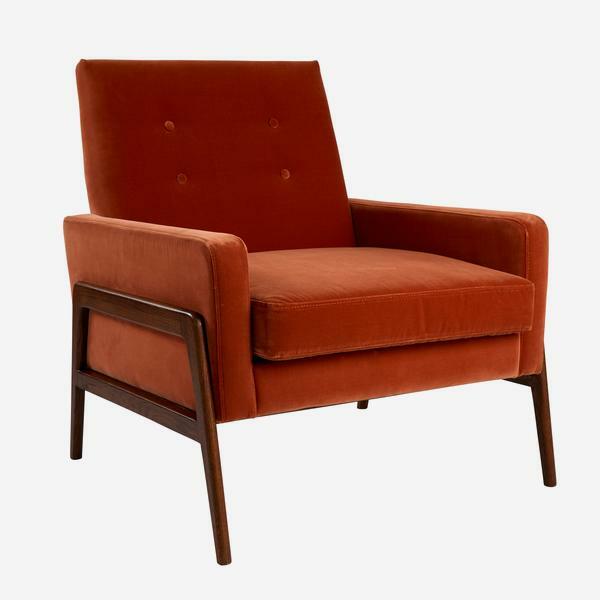 In burnt orange with four buttons on the back for detail, Jagger may look laid-back but there's thought-out style and originality too.